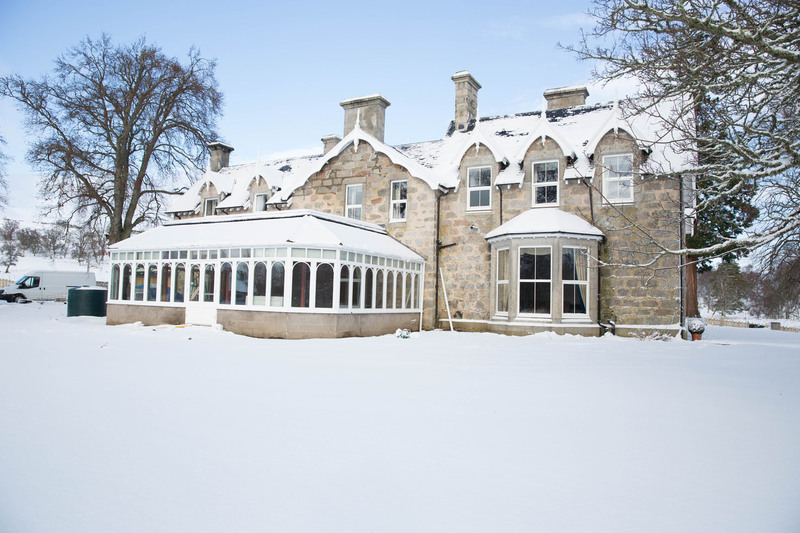 Luxury hotel in the Cairngorms opens its doors in April 2015. Muckrach Country House Hotel opens as a 4 star luxury hotel with a Highland welcome on 30th April 2015. With 11 individually designed bedrooms, you’ll be sure to ponder which is your favourite, between Cairngorm with its tones of heather and mountain views or Glenbogle with its suede wallpaper and winged leather bed! It has been a year in the making, during this time our luxury hotel in the Cairngorms has been stripped back to its granite and then renovated with care and attention to detail. Muckrach Country House Hotel now boasts 11 individually designed bedrooms, a Coffee Shop/Restaurant, Private Dining room, Meeting room, Bar, Terrace Bar, Library and Drawing Room, all lined with fabric wallpaper, enriched with chandeliers, comfortable furniture and luxury soft furnishings. 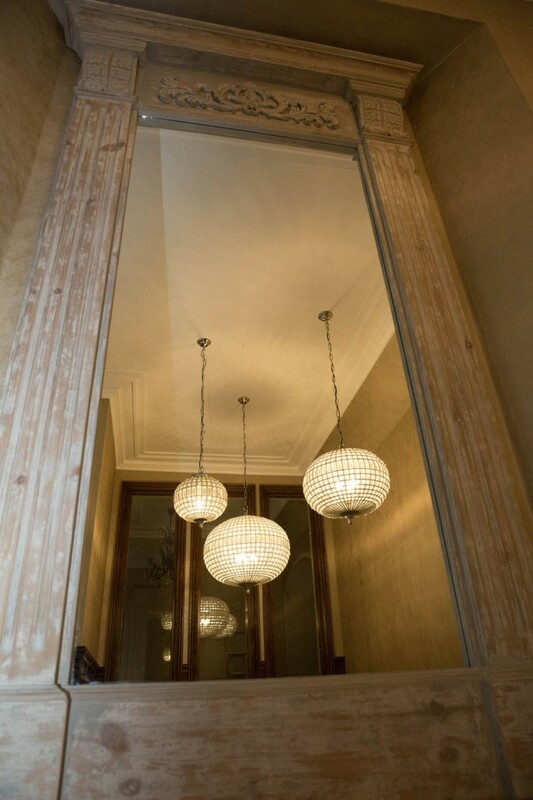 The renovation has enabled us to modernise the offerings of the hotel such as wifi throughout, entertainment systems in bedrooms and underfloor heating on both floors, but we have been sensitive to the building’s Victorian roots and have added ceiling roses, coving and panelling to re-create its Victorian grandeur. 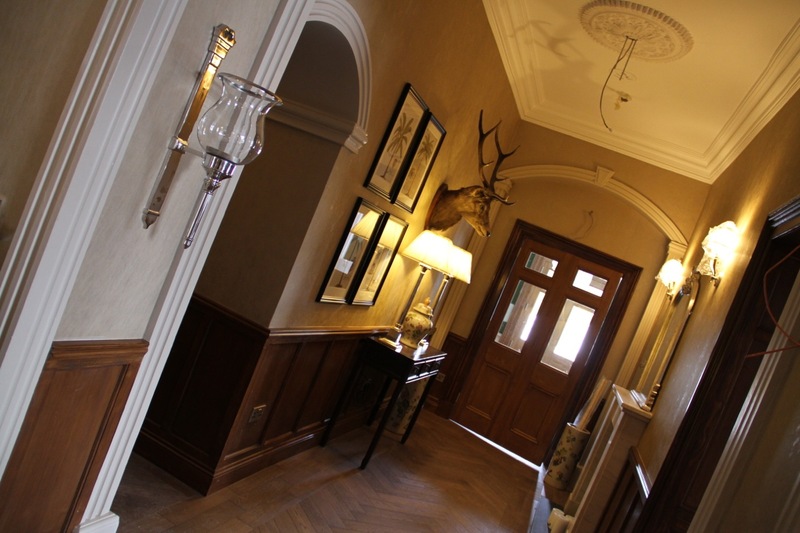 In the images below you can see the plastered features around doorways, the ceiling rose awaiting a chandelier, pictures denoting exotic trees that the Victorians were so fond of to demonstrate their wealth and of course the obligatory stag’s head for a Highland shooting lodge! As it nears completion, our luxury hotel in the Cairngorms has many imminent activities, such as a kitchen to be fitted, more furniture to arrive and a Head Chef joining the team. With every box we open, every piece of furniture placed and every mirror hung the hotel is coming to life, oozing with warmth and luxury. Set in the heart of the Cairngorm National Park, Muckrach Country House Hotel will not only offer beauty from within. The Cairngorm National Park is the Uk’s largest national park and is an area filled with outstanding beauty; mountains, lochs and ancient pine forests. The plethora of activities available in the Cairngorm National Park is amazing; within a short distance of Muckrach Country House Hotel you can ski at 2 different ski resorts, zip wire one of the longest zip wires in the UK, walk along the Speyside Way, watch unique wildlife such as osprey, red squirrels and blue hares and swim in a loch during the summer months! 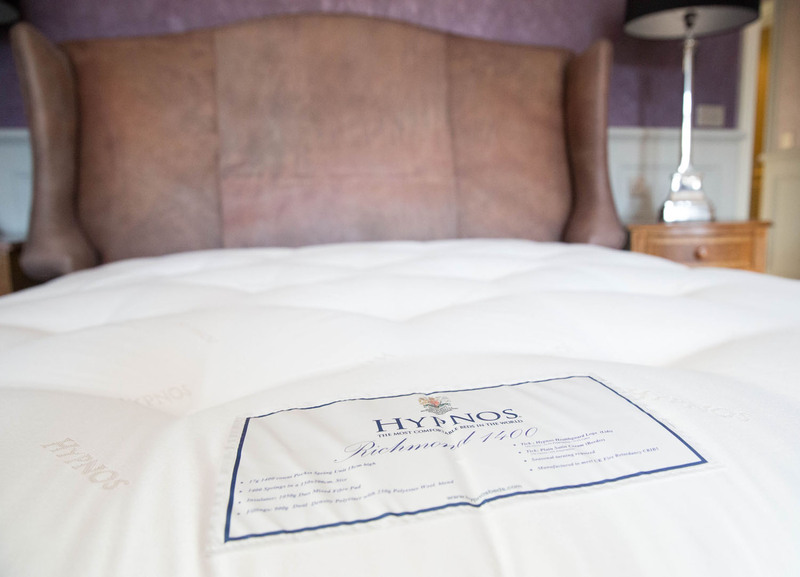 We feel so lucky to own a luxury hotel in the Cairngorms and proud to be a part of the National Park and the many quality businesses that the Highlands of Scotland has to offer. Muckrach Country House Hotel looks forward to welcoming you in the near future. Watch out for photos of the finished rooms and hotel over the next few weeks, as the opening gets closer and closer!